Ruby Ranch: Fall fun days! Over the last five months Nicaragua has been going through a crisis that has destroyed the economy, claimed hundreds of lives, and continues to have an ugly face of daily arrests, stories of torture, violence, and protests with little hope in sight for the majority of normal every day Nicaraguans. In the middle of everything there are millions of kids just trying to keep on going. They hear their parents talk and have seen the news reports. The children are having a hard time, in a different way than their parents, but equally as hard. Krista’s brother Brinson who oversees Ruby Ranch had a great idea. There was so much violence over the summer we lost the chance to run the summer camps we usually do all summer long. The teams that would usually be here had to cancel. It was really disappointing. As the fall started, the desire to fulfill the vision of Ruby Ranch gave Brinson an idea to put together “Fun Days” at Ruby Ranch every weekend throughout the fall. 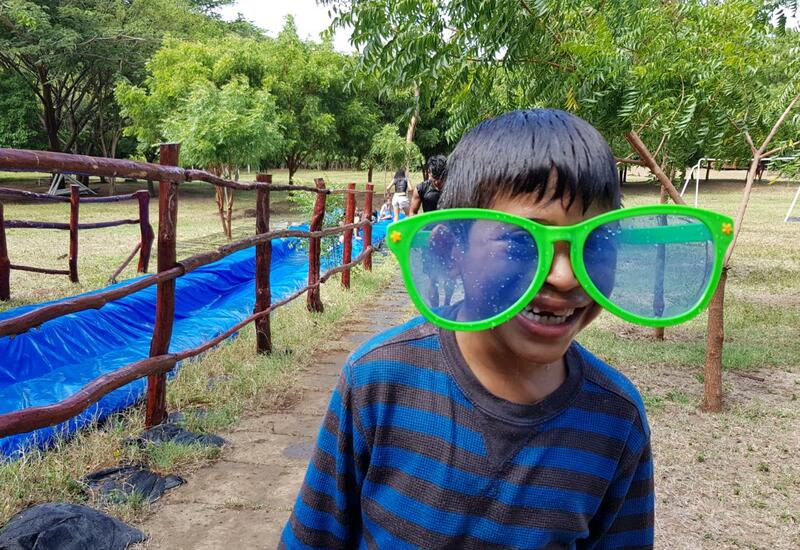 A day of fun, games, horses, soccer, meals, zip line, trampolines, nature hikes…..THE GIANT WATER SLIDE! Fun, Fun, Fun! For the last five weeks Fun Days have been happening and it is awesome! 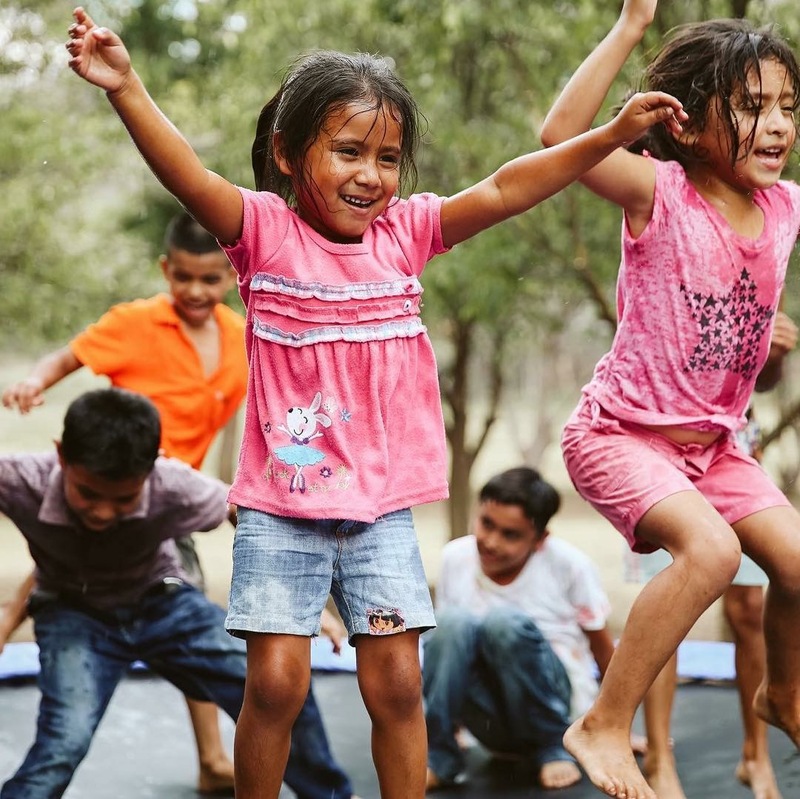 The Lord is using Ruby Ranch to help children escape the difficult time, at least for a day. It is something really good, Amen. Every weekend, 50 kids at a time (as many as can fit on the bus) have been blessed by the crazy adventure of a Fun Day at Ruby Ranch! Isn’t that awesome? Would you like to join in the fun and support one of the fun days throughout the remainder of the fall? Maybe your church couldn’t come and you can help from a far? 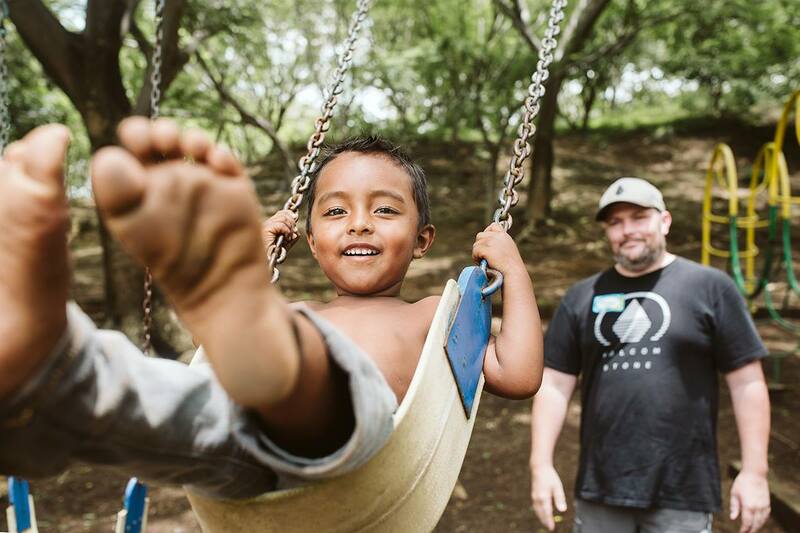 Maybe you just love Ruby Ranch and love the children of Nicaragua? Maybe you have been asking the Lord what to do with some of your finances? If this is something that touches your heart, Praise Jesus! Lets bless some kiddos! Ruby Ranch: Fall Fun Day! 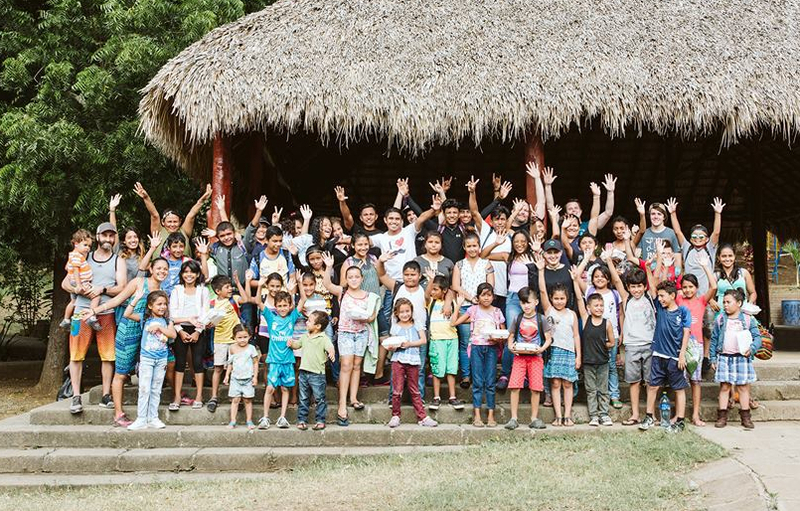 Send 50 Nicaraguan children to Ruby Ranch for a day of fun and awesomeness! Thank you for your prayers and continued support for Nicaragua. Our hope is to bless as many children as possible, love them and glorify the Lord in all that we do! We appreciate you being with us…keep praying for Nicaragua!